As you may know, as the result of a joint project with the International Accounting Standards Board (IASB), the Financial Accounting Standard Board (FASB) issued Accounting Standards Updates (“ASU” or “Update”) 2016-02, Topic 842, Leases, and ASU 2014-09, Topic 606, Revenue from Contracts with Customers. These are some of the most significant and far reaching GAAP changes in many years and probably for a very long while. Shannon & Associates wants to formally call your attention to these standards that will become effective in the coming couple years, but require the start of planning this year. This new leasing guidance significantly changes lessee accounting for leases and impacts financial statement presentation as well as financial metrics, including many that relate directly to debt covenants and key performance indicators. The guidance was updated to better align with global accounting for leases and to incorporate the new revenue recognition standard (more on this later). 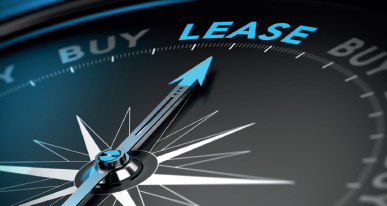 The new lease standard essentially requires lessees to reflect virtually all leases on their balance sheet. The FASB uses a dual model approach that includes financing leases, which are similar to today’s capital leases, and operating leases, with expense recognized on a straight-line basis. Under the FASB’s dual approach, determining whether a lease is a finance or operating lease will be based on guidance similar to current US GAAP with a more principles based approach. Current GAAP also focused on whether the lease transferred substantially all of the risks and rewards of ownership. The new guidance introduces a right-of-use model, which focuses on a control based approach. For non-public entities the new standard is effective for annual periods beginning after December 15, 2019 and early adoption is permitted. In the year of implementation, leases for periods greater than 12 months which would’ve been classified as operating leases will be presented as assets and liabilities on the balance sheet and comparative financial statements will need to show the change in both years presented. This new far reaching guidance creates a single model for revenue recognition, with a set of principles to be used in analyzing all contracts with customers that will effectively change how companies across almost every industry will recognize revenue. Nearly everything that businesses and their accountants have traditionally considered a contractual arrangement to deliver goods or services is covered. There are no industries that are scoped out of the guidance, and there is no special guidance for particular industries as there has been in the past, particularly under U.S. GAAP. The basic principle of this standard is that an entity will recognize revenue when it transfers goods or services to a customer. The amount recognized reflects the consideration “to which the entity (i.e. the seller) expects to be entitled”. To apply the principles in the new standard, an entity will follow a five-step process: 1) Identify the contract(s) with the customer, 2) Identify the performance obligations in the contract, 3) Determine the transaction price, 4) Allocate the transaction price to the performance obligations in the contract, and 5) Recognize revenue when (or as) the entity satisfies a performance obligation. This process appears simple at first, but the wording of each step has been carefully chosen by the FASB and there are voluminous rules under each of these, evidenced by the full 706 pages of the initial standard. This new standard also has extensive disclosure requirements related to revenue recognized, and disaggregation of revenue into categories, performance obligations, information on contract balances and activity, information on contracts more than one year, assets recognized for costs of obtaining or costs to fulfill a contract with a customer, information used in determining transaction price, and significant judgments and changes in judgments made in applying the new standard. These current disclosures are expected to expand most Company’s financial statement disclosures about Revenue Recognition from a few paragraphs to several pages. For non-public entities, the new standard is effective for annual reporting periods beginning after December 15, 2018. There are two transition methods that an entity can use to implement the standards: Full Retrospective with Optional Practical Expedients and the Modified Retrospective. Both will require some form of looking back to prior years presented for either disclosure or changes in revenue recognized, which will mean calculations about revenue for existing contracts and possible past contracts in Companies’ comparative 2019 and 2018 financial statements. Now is the time to prepare for these fundamental changes. For leases, we recommend management begin to understand the accounting requirements of the new standard, understand the leases the company holds and contemplate the implications for new agreements, assess the capabilities of existing technology for capturing lease data, and develop a plan to implement the new standard. For revenue recognition, we recommend management begin to understand the accounting requirements of the new standard, understand the types of revenue and contracts the company generates and contemplate the implications for new customer agreements, assess the capabilities of existing technology for capturing detailed contract and revenue data, and develop a plan to implement the new standard. In addition, management needs to communicate with their bank about how the company’s financials may be affected. Though the financial statements are management’s responsibility, Shannon & Associates is here to help. As requested, we will work with you on establishing your plan, and offering GAAP assistance, training and other resources. The Association of Certified Fraud Examiners (ACFE) has published its 2016 Report to the Nations on Occupational Fraud and Abuse. 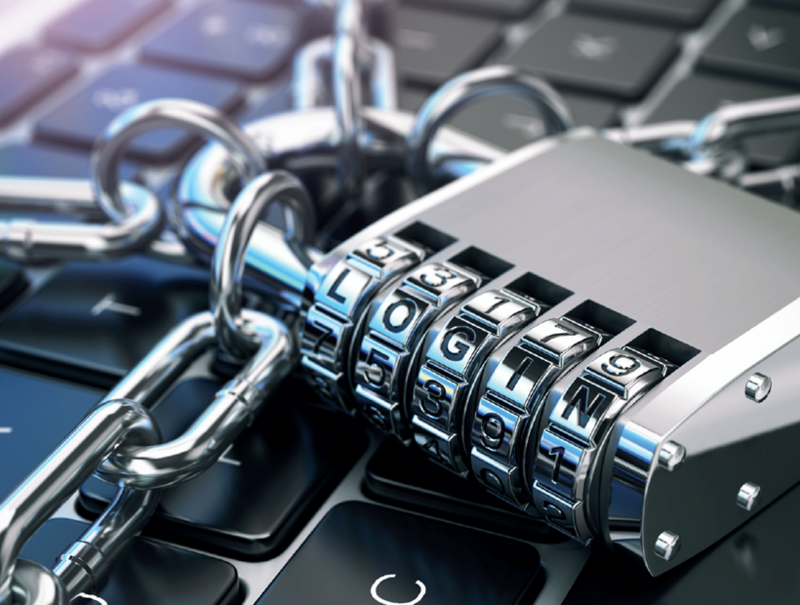 The latest biennial study breaks down white collar crimes by industry, highlighting the common scams that manufacturers need to watch for and ways for them to minimize potential losses from fraud. How Much Does Fraud Cost? The ACFE estimates that the annual cost of fraud globally is roughly $3.7 trillion, based on a gross world product of $74.16 trillion in 2014. That’s a significant amount of money, but what hits closer to home is how much fraud affects individual victim organizations. The median loss for frauds occurring at U.S. companies was $120,000, according to the 2016 report. 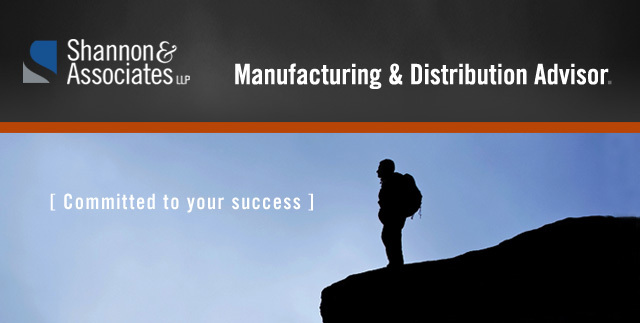 Even more disheartening is the median loss for manufacturers of $194,000. A loss of this size would be difficult for most small manufacturers to absorb. Moreover, these estimates include only direct monetary losses. Fraud also potentially costs companies in terms of lost productivity, diminished employee morale and loss of confidence with customers. Which Schemes Are Most Common? Corruption. Almost half of manufacturers in the study (48.4%) fell victim to these scams. Corruption includes bribery, illegal ethics hotline gratuities and economic extortion. Billing scams. About one-third of fraud cases (32.8%) involved billing ploys. These scams may include submitting invoices for fictitious goods or services, inflated invoices, or invoices for personal purchases. Noncash theft. Rounding out the top three categories, noncash ploys were reported in more than 30% of fraud cases. These incidents often involve theft of such valuable assets as inventory and equipment. 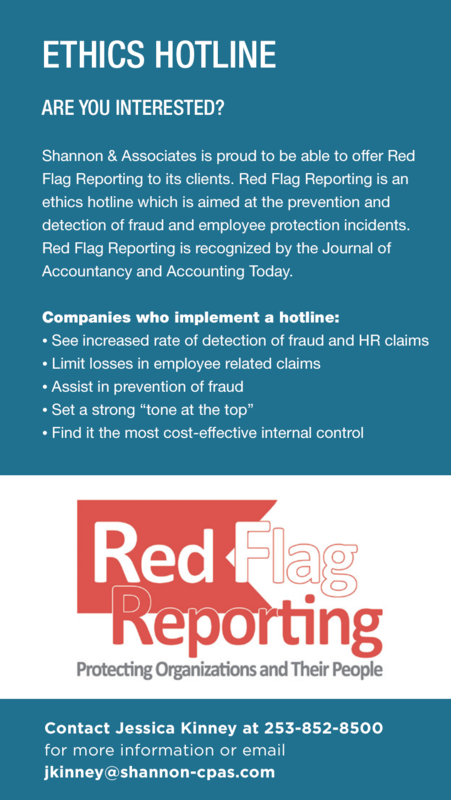 In addition, roughly a quarter of fraud cases involved fictitious or exaggerated claims for expense reimbursement. Many fraudsters test the waters with these types of entry level scams. Then they graduate to bolder schemes, if no one notices their expense fraud. How Can Manufacturers Fight Fraud? Across the board, the presence of antifraud controls was correlated with lower losses and quicker fraud detection. More specifically, victim organizations that were using proactive data monitoring and analysis techniques as part of their antifraud program suffered fraud losses that were 54% lower and detected the frauds in half the time compared to organizations that didn’t use these techniques. Management review and the presence of a hotline were correlated with 50% lower median losses and 50% less time to detect the scheme. How Should Victims Handle Fraud Allegations? The majority of the fraud victims in the ACFE study haven’t yet recovered a dime from the perpetrators. Many worry that prosecuting criminals could lead to bad publicity. Others prefer to just fire the wrongdoers and then focus on recovery, rather than spend time and resources pursuing a financial settlement or conviction. Prosecuting fraud may be worthwhile for several reasons, however. It sends a message to would-be thieves that management has adopted a zero tolerance policy, thereby deterring future crimes. In addition, a conviction will be reported on the fraudster’s permanent record, which may prevent him or her from striking other victims in the future. If you suspect fraud, contact your attorney or a forensic accountant for help deciding how to proceed. In a world where business is done anytime and anywhere, we are pleased to announce a new way to work with us from any highspeed internet connection, 24 hours a day, seven days a week. Using NetClient CS is as easy as online banking and it’s completely secure. Once you’re up and running on NetClient CS, you’ll have your own secure, password protected online portal that you can access from our website. Just log-in from your web browser for instant access. View and print tax documents – including finished tax returns, electronic filing authorizations and more. Final tax documents and other items can be saved for up to 7 years on the portal; you can also copy the files to your own location for safe keeping. Built-in redundancy: Multiple data locations. Internet connections and power sources keep your portal up and running all the time. Secure Password Protection – This protects your data as it travels between the data center and your computer. Simply send us an email ShannonTax@Shannon-CPAs.com or contact our office at 253-852-8500 to indicate your interest in getting set up. For your state and local tax needs.